If you find the fields of information technology and computer science interesting, you may have asked yourself what exactly is Information Systems? By reading the data found below, you can attain an answer to this question and several others that relate to careers and education within the information systems sector. Although broadly defined, information systems is basically the study of hardware and software networks that individuals and organizations appropriate for the purpose of collecting, filtering, processing, creating and distributing data. The field of information systems includes a plethora of disciplines, including: the design and analysis of systems, information security, decision support systems, database management, and computer networking. The field is also closely correlated to the information management sector, which deals with the theoretical and practical problems of analyzing and collecting data in business function arenas such as applications programming and implementation, business productivity tools, digital media production, electronic commerce, decision support, and data mining. Additionally, information systems is connected to the fields of networking and communications, both of which deal with telecommunication technologies. To function efficaciously, information systems exists as the conjunction between the worlds of computer science and business by utilizing the theoretical foundations of computation and information in order to study algorithmic processes and business models within the computer science field. While there are a plethora of functions that information systems perform, they will almost always aim to support decision-making processes, management, and operations. Generally, the term “information systems” will reference more than an organization’s use of information and communication technology (ICT) by also incorporating the concept of people interacting with technology to support the effective, efficient functioning of a business. Some experts argue that information systems can be viewed as a unique kind of work system. Although broadly defined, a work system is basically a system in which machines and/or humans complete work, activities and processes, through the utilization of resources that will result in the production of specific services and/or products for consumers. Information systems can be classified as a type of work system, because they incorporate activities that involve processing information. This information processing can include various types of work, such as capturing, storing, transmitting, displaying, manipulating, and retrieving data. Information systems can also be defined as a type of “language” that supports human decision-making processes and actions. It is also important to note that most information systems constitute information technologies. Information technologies are significant in that they enable humans to complete tasks that the human brain cannot perform well, such as performing complex calculations, controlling several processes simultaneously, and handling large amounts of data. There are a variety of job options that individuals who pursue work in the field of information systems can access. Computer hardware engineers are responsible for researching, designing, developing, and testing computer systems and components like circuit boards, processors, networks, routers, and memory devices. 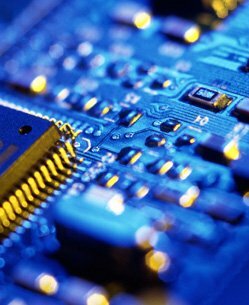 Through the creation of functional computer hardware, computer hardware engineers help with the development of rapid advances within the field of computer technology. According to the U.S. Bureau of Labor Statistics, computer hardware engineers can expect to earn about $100,920 annually. As made plain by the brief overview above, the field of information systems is an exciting one that will likely become more intriguing as technological advancements continue. Now that you know what Information Systems is, you can decide whether this would be an appropriate sector for you to pursue a career in.